Northeast Pennsylvania’s unique location makes it a hub for passenger bus service to and from the major metropolitan areas like New York City, Atlantic City, Harrisburg, and Philadelphia. Literally thousands of people in our area use busses every day, whether commuting to work, visiting family, or just traveling for trips. When someone gets onto a bus, they generally don’t even think twice about safety – they assume it. They assume the driver is properly licensed, well-rested, alert, safe, and ready to operate the bus in the safest way possible to protect the safety of all passengers. Most passengers don’t even think about whether or not the bus has been properly inspected and designed, and that all parts of the bus are fully operational. They trust that the bus is safe and will get them to their destination. However, bus accidents do occur, and oftentimes it is the result of negligence on the part of the bus driver, bus company, or bus manufacturer. If you’ve been injured in a bus accident‚ contact Pennsylvania bus accident attorney Jonathan Comitz to discuss your legal rights. Injuries caused by bus accidents are serious and are governed by Pennsylvania law and Federal law. “No person shall drive a vehicle at a speed greater than is reasonable and prudent under the conditions and having regard to the actual and potential hazards then existing, nor at a speed greater than will permit the driver to bring his vehicle to a stop within the assured clear distance ahead. Consistent with the foregoing, every person shall drive at a safe and appropriate speed …when approaching or going around a curve, … and when special hazards exist with respect to pedestrians or other traffic or by reason of weather or highway conditions.” -Section 3361 of the Pennsylvania Motor Vehicle Code. Buses fall under the jurisdiction of the Federal government via the Federal Motor Carrier Safety Regulations. These regulations impose a higher standard of care for passengers on the bus drivers and companies. Specifically, 49 C.F.R. § 392.14 requires “extreme caution” in the operation of a bus, especially when hazardous conditions, such as those caused by snow, ice, sleet, fog, mist or rain, impact visibility or traction. 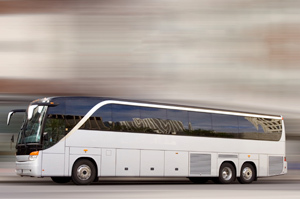 We also handle bus accident lawsuits for bus passengers injured in accidents caused by other motorists on the road, and represent injured motorists involved in accidents with buses. Importantly, our firm has the financial resources to aggressively pursue your rights against the big bus corporations and insurance companies that run the bus companies. We also have a team of experts to assist us in evaluating the bus accident, including computer testing, bus inspections, computer generated recreations of the bus accident. Sadly, in our area and throughout Pennsylvania, bus accidents are common. The sheer size alone of most buses leaves little room for mistakes. Often, the injuries involved can be very serious and even life-threatening. Chances are if you or a loved one have been involved in a bus accident, the injury is serious and may require hospitalization, surgery, and ongoing medical care. It may also limit the ability to work or earn income. The long-term consequences of an accident of this nature can be devastating and can totally change your life. Therefore, it is critical to call Attorney Jonathan Comitz immediately to take action. Unlike other big law firms, you and your family will get the personal attention of the attorney who is actually handling the case. Our results speak for themselves. 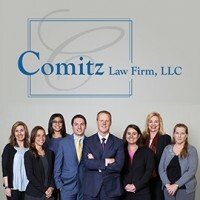 Comitz Law Firm just recently had one of the largest bus crash settlements in Pennsylvania where a big bus company and their insurance company fought our clients tooth and nail. Tragically, the bus crash took place on I-380 North in the Poconos, late at night. The bus was just finishing up its last run from New York City to Scranton. Comitz Law was able to dig deep into our web of experts and financial resources to uncover a host of violations of the bus company and driver. Through our investigation, we learned that the bus driver was not wearing his seatbelt, was not paying attention to the road, and was driving too fast for the conditions. All of this led to a terrible bus accident. However, in the end, our clients were relieved when they received a $2.225 million dollar settlement.